The cool weather and colorful scenery are contributing factors as to why fall is such a great time to travel, but there are also several long weekends in this season that allow you to stretch some of your weekends into little vacations! Whether you have three days to get away or just two, you can squeeze a wonderful fall getaways into any weekend. Here are nine weekend fall getaways from across the U.S. that you can take without breaking the bank! Although many New Englanders will be traveling to Vermont, New Hampshire, and Maine for leaf peeping come fall, the beautiful city of Newport should not be overlooked. This cliff-side Rhode Island town is most popular in summer and less crowded once the leaves change. The water will be too cold for swimming in October and November, but Newport’s fine dining scene, Cliff Walk, mansion tours, Coastal Wine Trail, and shops make for a fun alternative to sun and sand. The International Boat Show and Newport Restaurant Week are both celebrated in fall as well. Where to Stay in Newport: The Attwater. Located right downtown, this boutique hotel comes complete with a spa and onsite cafe, and typically offers fall getaway discounts. Just two hours from New York City, the Catskill Mountains are an ideal weekend getaway destination for the Mid-Atlantic crowd. The area has a robust farm-to-table restaurant scene alongside a handful of craft breweries, distilleries, and wineries. Buttermilk Falls and Hunter Mountain Fire Tower attract hikers, while the drive along the Upper Delaware Scenic Byway appeals to leaf peepers. Other fall activities include golfing, fly fishing, and seasonal festivals like Taste of the Catskills and the Woodstock Film Festival. Where to Stay in the Catskills: The Arnold House. Located in Livingston Manor on a pond, this inn is a great place to spend two or three nights. It has a spa, a tavern that’s popular with locals, a separate lakefront cabin, onsite barn, and garden. This breathtaking place is located in the Midwest’s East North Central region. Door County is situated on 300 miles of shoreline from Lake Michigan to Green Bay, with many small artistic communities in between. Outdoor fall activities like hiking, leaf peeping, and biking are complemented by culinary happenings, like fish boils, apple picking, and tastings at local wineries. The area has five state parks, too. Other seasonal activities include fishing, golfing, lighthouse tours, and special events like the Egg Harbor Ale Fest. Where to Stay in Door County: Holiday Music Motel. Located in Sturgeon Bay, this retro 50s-style motel makes for a unique weekend stay. It’s located just minutes from the waterfront, Starboard Brewing, and the downtown area. The renovated motel has free breakfast, live music, singer-songwriter retreats, and a radio station. Rates generally drop starting November 1. St. Louis is the perfect weekend destination for those in the Midwest’s West North Central region. It’s under a four-hour drive from Kansas City and Jacksonville, and there’s so much more to do than just going to the top of Gateway Arch—think fall festivals like the St. Louis Art Fair, Great Forest Park Balloon Race, and Budweiser Taste of St. Louis; outdoor areas like the Citygarden, Botanical Garden, Laumeier Sculpture Park, and Onondaga Cave State Park; shows at The Pageant; shopping and eating at Delmar Loop; and golfing at Forest Park. Where to Stay in St. Louis: St. Louis Union Station, Curio Collection by Hilton. Stay at historic Union Station for a weekend fall getaway near Busch Stadium and Ballpark Village. The architecture and 3D lightshow in the Grand Hall lobby lounge bar is reason enough to stay here, and the property even has an outdoor pool. Greenville is the next South Atlantic hotspot! About two hours from Atlanta and Charlotte, Greenville is easily accessible for many along the Southern coast. Hike in Paris Mountain State Park or see Chimney Rock for adventure and fall foliage, or opt to drive the Cherokee Foothills Scenic Highway 11. Greenville also has an up-and-coming culinary scene—check out newly opened Ink n Ivy and its rooftop bar; or Biscuit Head, where (you guessed it) your meal is a massive biscuit with toppings. There are also more than a half dozen breweries within easy driving distance of Greenville. For fall events, look for Edwin McCain’s Euphoria festival, as well as Fall for Greenville and Oktoberfest. Where to Stay in Greenville: Aloft Greenville Downtown. This pet-friendly downtown property boasts a modern design featuring local art. It’s within walking distance to more than 100 bars, restaurants, and shops—so it’s perfect for a short stay. Chattanooga is an easy weekend fall getaway destination for anyone in the East South Central region. Just two hours from Nashville and less than five from Louisville, Chattanooga is particularly welcoming in the fall: Seasonal fall events include RiverRocks Chattanooga outdoor and music festival and the Chattanooga Market. Check out any of the 7,000 caves that are just one hour outside the city, or hike the Great Eastern Trail (which connects to the Appalachian) or Chattanooga Riverpark for fall foliage views. Where to Stay in Chattanooga: DoubleTree by Hilton Hotel Chattanooga Downtown. It’s centrally located, with easy access to popular tourist spots like the Tennessee Aquarium, Lookout Mountain, and Battle of Chickamauga. Special packages with Lookout Mountain discounts are available. Our #7 fall getaways is New Orleans. To experience the food and culture of New Orleans without Mardi Gras-level crowds, head to the Big Easy in its shoulder season—fall. Wander around Jackson Square, Bourbon Street, and St. Louis Cathedral in the cooler weather, or check out Royal Street for art galleries, boutiques, and antique shops. Seasonal fall festivals include the Crescent City Blues and BBQ Festival and Voodoo Music Festival. The Ogden Museum of Southern Art, National World War II Museum, City Park, and the New Orleans Botanical Gardens are enjoyable year round. Where to Stay in New Orleans: The Roosevelt New Orleans, A Waldorf Astoria Hotel. The hotel is just a short walk from the French Quarter and Arts District. Located on the Pacific Coast, Mendocino is just 150 miles from San Francisco along Highway 1, and half the fun is getting there. This sleepy coastal town offers unique shops and fine dining, as well as the nearby Anderson Valley wine region—which is far less crowded than Napa. Explore the outdoors at Mendocino Headlands Park and the Mendocino Coast Botanical Gardens, take a sea cave nature tour in Van Damme Cove, and visit Point Cabrillo Lighthouse. Also check out seasonal events like the Mendocino County Fair and the Mushroom, Wine, and Beer Festival. 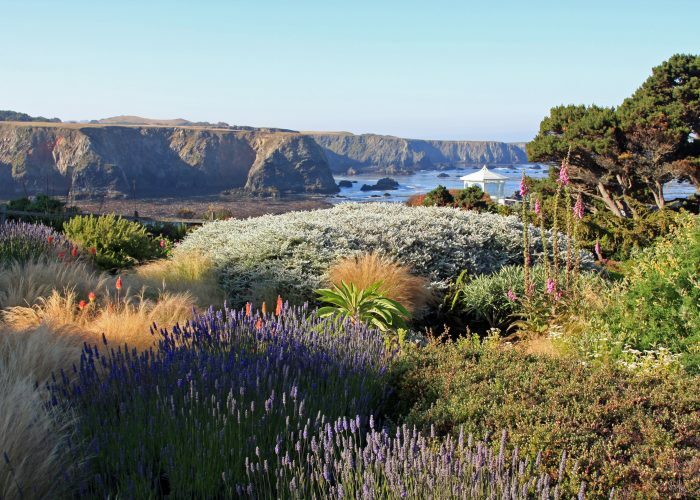 Where to Stay in Mendocino: Blue Door Group. Located in the heart of Mendocino Village, this hotel has 19 rooms across three Victorian inn buildings—Packard House, JD House, and Blue Door Inn. You can walk to the cliffs, shops, restaurants, spa services, rotating afternoon wine hour, and outdoor activities from any of the properties. Our destination on our fall getaways list is Frisco, California. While many people are now flocking to Aspen and Vail in the off-season, Frisco is a great weekend alternative for anyone living in the Mountain region. It’s just over an hour’s drive from Denver and has the same fall foliage and mountain charm of neighboring Keystone and Breckenridge. Frisco sits on Dillon Reservoir and is surrounded by Arapahoe National Forest; both are perfect backdrops for hiking, observing fall foliage, and scenic drives. Also called “The Main Street of the Rockies,” Frisco’s downtown area has more than 50 locally-owned restaurants, shops, bars, and breweries, and there are annual fall events like Fall Fest and Frisco’s Haunted House. 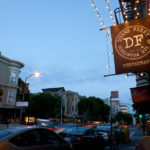 Where to Stay in Frisco: Hotel Frisco. Located right on Main Street, this hotel has a great location and amenities like a free afternoon drink, inexpensive parking, and a hot tub. The cool weather and colorful scenery are contributing factors as to why fall is such a great time to travel, but there are also several long weekends in this season that allow you to stretch some of your weekends into little vacations! Whether you have three days to get away or just two, you can squeeze a wonderful fall weekend escape into any weekend. Here are nine weekend fall getaways from across the U.S. that you can take without breaking the bank!